GRAMMY® nominee Matt Hammitt’s awaited, self-titled solo project is available todaymarking the first album release for the new FCM Records, label under Full Circle Music, helmed by GRAMMY® winner Seth Mosley. The 10-track record tackles blind trust, faith and the difficulties of stepping out of a familiar and comfortable place to follow Jesus, who often calls us to do difficult things for our ultimate good. 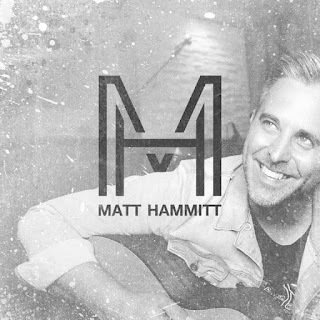 In preparation for the LP, Hammitt released two tracks to radio throughout the year, including the impactful “Tears.” His current single, “He Always Wins” is a worship anthem that is quickly being sung in churches around the globe. The emotions behind the former frontman’s decision to leave Sanctus Real are penned into the opening track “Heaven Knows.” Also found on the album is a newly recorded version of the band’s smash hit “Lead Me” and “To The Finish,” co-written with Hammitt’s wife Sarah who also sang background vocals on the track. On the heels of reimagining his career as an artist, speaker, songwriter and author, in order to prioritize his family, he will embark on the “Christmas In The Round” tour next month with Building 429 and Cloverton. Hammitt will continue to speak and lead music for the popular “Lead Me Live” events next year, as well as being a featured speaker at Family Life events. He is currently finishing a new book that is scheduled to release later in 2018. Hammitt will also join Kirk Cameron for 30 dates in 2018 in a newly created family and marriage conference. He also wrote and recorded the title song from the upcoming feature film Like Arrows coming to theaters, May 2018. Go to www.likearrowsmovie.com for more information. Matt Hammitt is available HERE.